John Mullane says that the postponed National Hurling League games 'could be the tipping point where the volcano in the club scene potentially erupts'. 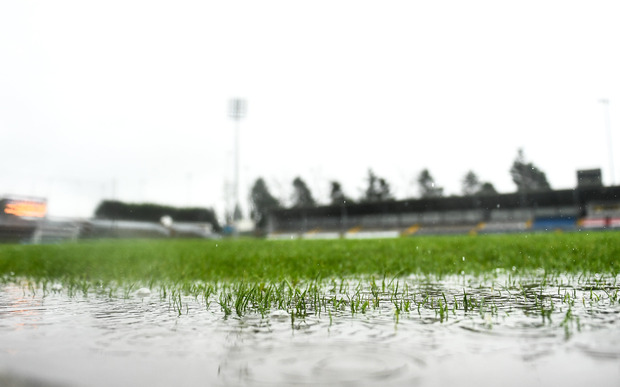 The Division 1A encounters between Wexford and Kilkenny and Tipperary and Cork were both called off due to bad weather, as was Waterford vs Galway in Division 1B, which means that the league quarter-finals, semi-finals and final will likely have to be put back by at least one week. There were similar fixture problems last year after Ireland was hit by terrible weather, and speaking on The Throw-In, Independent.ie's GAA podcast in association with Allianz, Mullane expressed his disappointment that plans weren't put in place to deal with the possibility of more postponed games in 2019. "I can't for the life of my understand it, particularly after last year," Mullane said. "The suffering of the clubs [last year] and we are probably going to have a re-run this year. I can't understand how last October or November someone in the fixtures committee didn't sit down and put a gap week in March, on the off chance of days like yesterday when we had bad weather. "Then we could fulfill the fixtures and still have a final on March 24th. What should have happened is a quarter-final, a semi-final and a two-week gap to a final." The delays to the hurling league could interfere with the club-only month coming in April, and Mullane thinks that the club vs county dilemma could reach boiling point as a result. "Now we don't have that gap week and things are going to run on into that club schedule," he said. "In Waterford, we have a round of games on March 31 and the first week in April. Club players are going into the unknown again. Club players have weekends booked away. What that is doing is disrupting their schedule and it is totally unfair. "This could be the tipping point where the volcano in the club scene potentially erupts."